The humble soybean is the world’s most widely grown and most traded oilseed. And though found in everything from veggie burgers to cosmetics, breakfast cereals to plastics, soy is also a poorly understood crop often viewed in extreme terms—either as a superfood or a deadly poison. 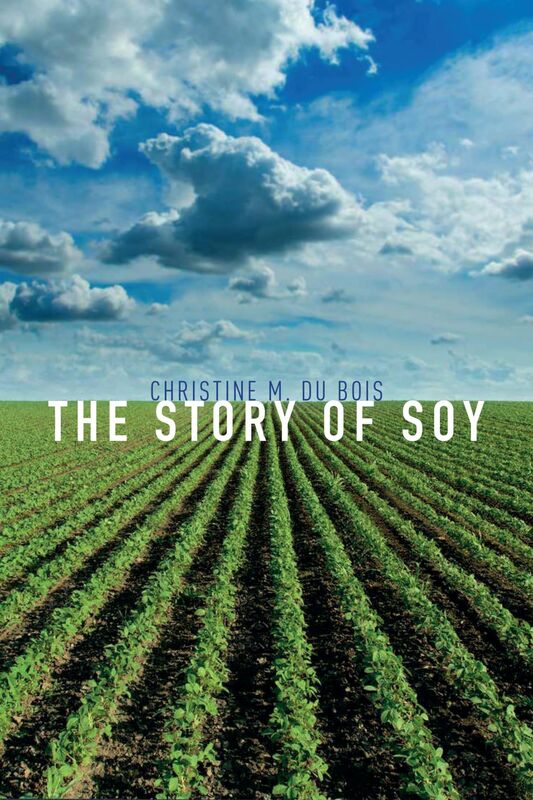 In this illuminating book, Christine M. Du Bois reveals soy’s hugely significant role in human history as she traces the story of soy from its domestication in ancient Asia to the promise and peril ascribed to it in the twenty-first century. Traveling across the globe and through millennia, The Story of Soy includes a cast of fascinating characters as vast as the soy fields themselves—entities who’ve applauded, experimented with, or despised soy. From Neolithic villagers to Buddhist missionaries, European colonialists, Japanese soldiers, and Nazi strategists; from George Washington Carver to Henry Ford, Monsanto, and Greenpeace; from landless peasants to petroleum refiners, Du Bois explores soy subjects as diverse as its impact on international conflicts, its role in large-scale meat production and disaster relief, its troubling ecological impacts, and the nutritional controversies swirling around soy today. She also describes its genetic modification, the scandals and pirates involved in the international trade in soybeans, and the potential of soy as an intriguing renewable fuel. Featuring compelling historical and contemporary photographs, The Story of Soy is a potent reminder never to underestimate the importance of even the most unprepossesing sprout. "Du Bois does not offer the reader a simple message . . . but that is precisely why the book helps [us] to better understand the mechanisms and effects of global agriculture." "Having read The Story of Soy, I’m left in absolutely no doubt that this small seed is huge. And I mean absolutely ginormous! Du Bois’s book is nothing short of a revelation and thoroughly recommended to anybody who wants to gain an insight into how the modern world works. . . . Not only will The Story of Soy enlighten you about many topics, it’s all done—and importantly—in a carefully balanced way: Du Bois doesn’t pick sides; she simply delivers intelligent, evidence-based writing. Additionally, The Story of Soy is extremely well-written, with some really nice stylistic flourishes. . . . A quite gripping read. . . . A great story, told by a great storyteller." "The Story of Soy . . . details how the soybean plant’s versatility has given the plant and those who control it remarkable power. Throughout history soybeans have catalyzed conflict, shaped economies, and affected people in the developing world. They have been a source of dietary breakthroughs and global health concerns. Stories and data from the time of soy’s domestication to the present underscore the plant’s influence on trade and society." "This voluminously documented volume takes care to situate soy in its diverse historical and contemporary contexts. It shows how soy in each era paradoxically created conditions to sustain life, including fixing nitrogen for agricultural ecosystems, but also to destroy environments and societies through relentless and sometimes violent pursuit of food and wealth based on soybean cultivation, processing and distribution. . . . I particularly appreciated Du Bois’s exhaustive dedication to exploring the entire range of relations between this economic and nutritional species and the human populations that have used and will continue to use it." "In ten succinct, informative chapters, Du Bois covers the history of the soybean from its roots in Asia, its development in the United States as a major crop, its globalization, its place in the realm of genetic engineering, and how soy oil relates to global energy consumption. A chapter on the business of beans offers an eye-opening dip into the economics of soybeans. Du Bois’s style is light, easy on technological terms, and unremittingly evenhanded, especially when it describes the conflict between indigenous farmers and large soybean producers in South America, or the conflict between agrochemical companies and opponents of genetic engineering. . . . This text will make readers both grateful that soy is around and concerned at the powerful influence it exerts on global politics, economics, and society. A must-read in agriculture. Highly recommended."